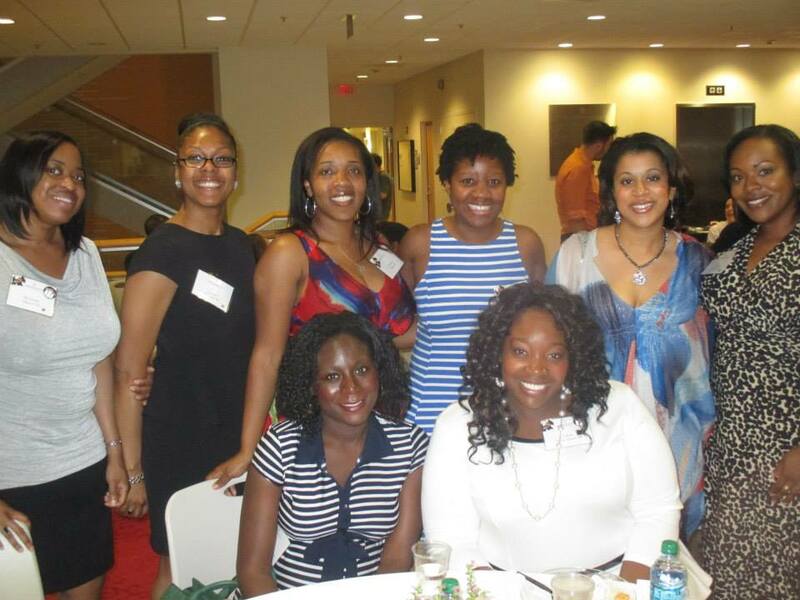 This past weekend, I trekked down to Atlanta, GA to reconnect with some of my favorite women on the planet — members of the class of 2004 at Agnes Scott. The weekend was jam packed with meetings, parties, pictures, food and fun. It’s so hard to believe that it’s been ten years since we all graduated and the whole weekend was awash in a strong sense of nostalgia. As a student, I’d always loved seeing the alums come back to campus — they’d stumble around clutching their wine and beer and seem so happy. I remember thinking that it’d be awesome to be one of those fun, happy, alums and this past weekend we were. It was great. 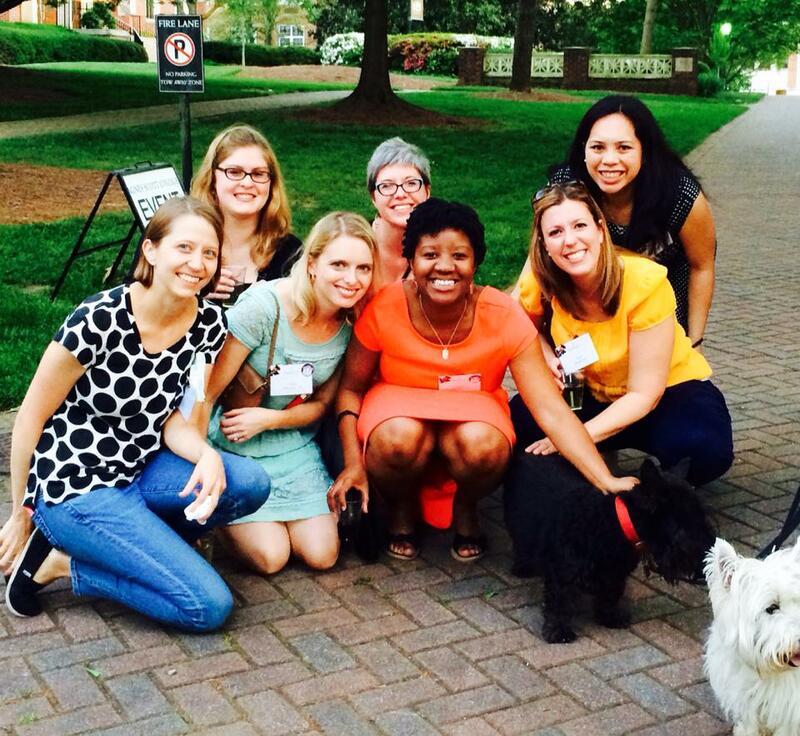 We found a Scottie dog (the Agnes Scott mascot) and had to get a picture. In the one above, we were heading to grab dinner before we then went to a young alumnae reception and then the Hub Sing. The Hub Sing is an annual tradition at Agnes Scott, where we gather (with drinks of course) and sing our “Agnes” songs together. It sounds kind of weird, but is SUCH a fun highlight and this year’s was no exception. There’s nothing more fun than cheering on Agnes Scott and bonding though song (again, with drinks). 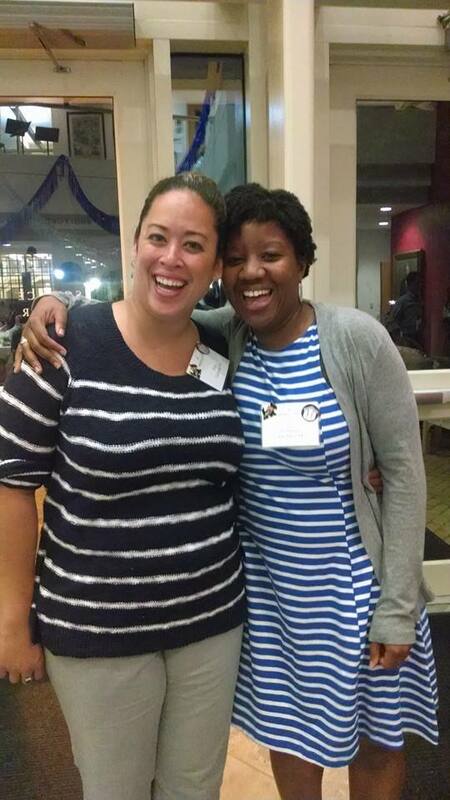 Saturday night was our class party and then an Agnes Scott 125th birthday celebration. Our class party was a highlight of the weekend for me. We had over 60 women (out of roughly 185~) come back to catch up and it was so fantastic to see everyone. And as for the afterparty…suffice to say that Agnes really knows how to have a good time. I’m so amazed by my wonderful classmates and was so happy to get to catch up with everyone — I just wish we do it every year! 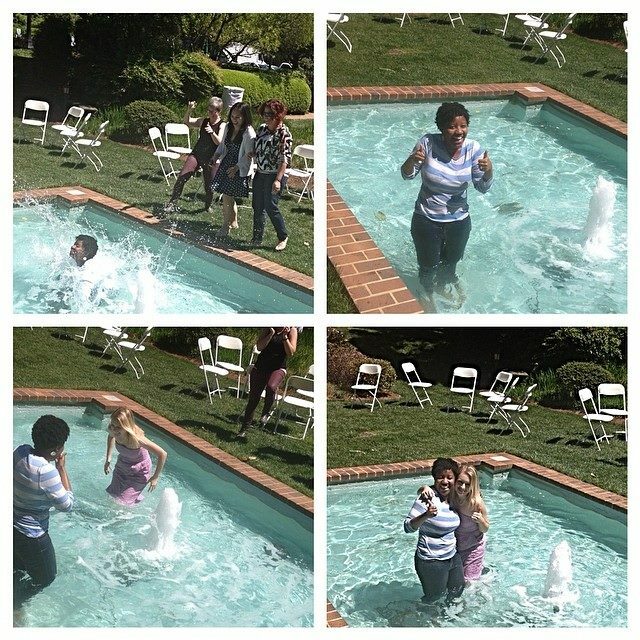 I was also lucky enough to have a small bridal shower before I left Georgia. More on that later this week! What a fun weekend with fun traditions! I love going back to my college! I love the pond thing! it was amazingly fun — so many fabulous memories! awww, this makes me smile!! what an awesome sounding weekend!!! I loved looking at your pictures all weekend. Looks like such a great time!! Sounds like you had a fabulous time! I can’t wait for my 10 year in 2015 🙂 I love the scotties in your pic!